Specifically targeted at individual artists with disabilities, Arts and Disability Connect includes New Work, Mentoring and Training awards. Arts and Disability Connect offers artists the opportunity to: connect with other practitioners or venues; make a change in their practice; ‘step up’ in terms of scope and scale; reach new audiences and to engage in mentoring or training. Join Amie Lawless as she talks through how the scheme works and take the opportunity to ask any questions over tea or coffee. This year we will host information clinics in Letterkenny, Cavan, Drogheda, Dublin and Newbridge. Please email amie@adiarts.ie if you would like to attend an information clinic. All of the information clinic venues are accessible to wheelchair users. Let us know if you have any additional access requirements. My advice for any present or future recipients of Arts and Disability Connect - Think big, go out of your comfort zone and the rewards will be in reach. 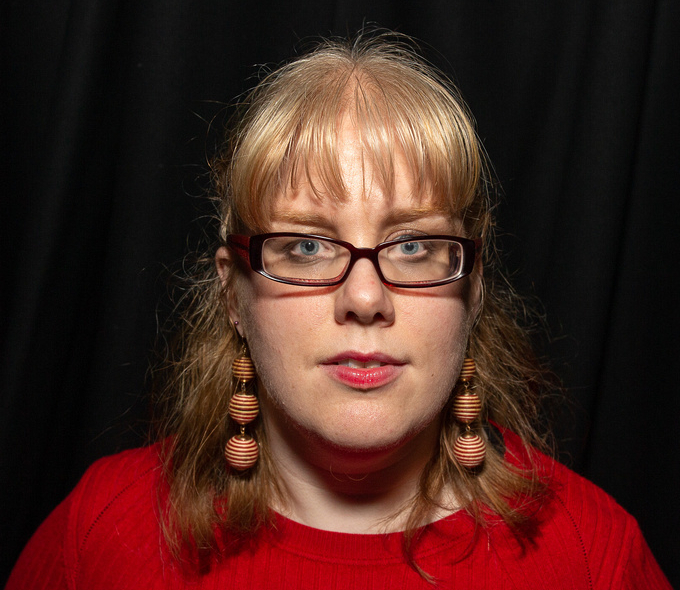 Mairéad Folan received an Arts and Disability Connect New Work award in 2018 and a Mentoring Award in 2017. Mairéad Folan has been awarded a New Work award to present WAKE at Town Hall Theatre, Galway – a retelling of the Little Mermaid, developed in conjunction with award-winning Young Adult Fiction author Deirdre Sullivan. Voicelessness is at the heart of the Little Mermaid and WAKE explores the unspoken, and the various forms in which we tell our stories. 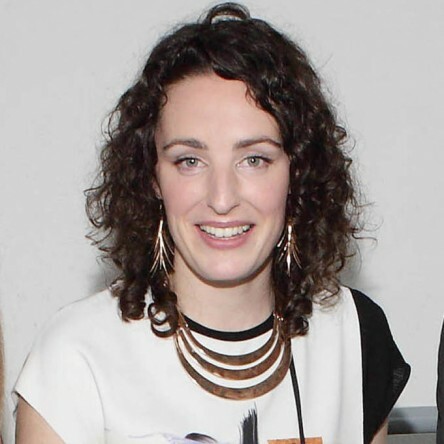 Through a mentoring award in 2017, Mairéad worked with producer Niamh Ní Chonchubhair. Mairéad and Niamh examined the role of creative theatre producer and how that informs Mairéad’s artistic practice as a director. Vukašin Nedeljkovic received an Arts and Disability Connect New Work award in 2018. Vukašin is a visual artist based in Dublin. Vukašin received a New Work award to present new photographic work documenting Direct Provision Centres in Ireland. Vukašin presented a photographic and sound installation which critically foregrounded accounts of exile, displacement, trauma, memory and marginalisation under the Direct Provision scheme. The exhibition Asylum Archive: an Archive of Asylum and Direct Provision in Ireland was programmed in partnership with Basic Space during Refugee Week 2018. David Joyce received an Arts and Disability Connect Mentoring award in 2018. David is a Galway based playwright. He worked with mentor Eileen Gibbons to stage rehearsed readings of his scripts and to develop his writing. Maureen Portsmouth (Mo Harte) received an Arts and Disability Connect Mentoring award in 2018. Mo is a performance artist, audio describer and dancer based in Dublin. She worked with her mentor Amanda Coogan to explore methods of accessing kinetic wisdom and endurance through embodied arts practice. Dr. Noel O’Connell received an Arts and Disability Connect Mentoring award in 2018. Noel is a playwright based in Limerick. He worked with mentors Dr. Marie Kelly and Fionn Woodhouse at University College Cork to develop an ethnodrama called Passing as Normal. It tells real-life stories of deaf peoples’ experiences of marginalisation. Ruth Larkin received an Arts and Disability Connect Mentoring award in 2018. Ruth is a visual artist from Dublin. She worked with her mentor Ann Lawlor to explore the themes of time, cycles and science as well as Leonardo Da Vinci’s Vitruvian Man concept in a Science-Art context. Sean Hillen received an Arts and Disability Connect Mentoring award in 2018. Sean is a visual artist based in Dublin. He worked with Tanya Kiang of the Gallery of Photography to develop his set of curatorial and networking skills to apply to editing and mounting exhibitions, and perhaps a publication of his ambitious and well-known works. Suzie McCormack received an Arts and Disability Connect Mentoring award in 2018. Suzie is a visual artist based in Dublin. She worked with mentor Maeve Mulrennan from Galway Arts Centre to develop her journaling, curating and portfolio development to progress and expand her studio practice. Thomas Martin received an Arts and Disability Connect Mentoring award in 2018. Thomas is a writer and visual artist from Wexford. He worked with mentor Sylvia Cullen to develop his writing practice through an exploration of non-rhyming poetry, blank verse and a satirical approach to short story writing in a current affairs context. Caroline Naughton received an Arts and Disability Connect Training award in 2018. Caroline is a visual artist based in Roscommon. She worked with visual artist Danika Casey to develop painting and paper-making techniques to compliment her practice. Emilie Conway received an Arts and Disability Connect Training award in 2018. Emilie is a musician based in Dublin. Emilie attended the Blas programme at the Irish World Academy of Music and Dance in the University of Limerick. In particular she wanted to train with Gearóidín Breathnach and Karan Casey to bring elements of Irish traditional song, storytelling and Sean-Nós into her professional practice. Mohetia Furniss received an Arts and Disability Connect Training award in 2018. Mohetia is a visual artist based in Leitrim. She has devised a series of training courses with sound artist Cathal Roche, soprano Eunjoo Goh, and jazz vocalist Lauren Kinsella to support her work towards a creating multimedia installations. Roderick Ford received an Arts and Disability Connect Mentoring award in 2015, an Arts and Disability Connect New Work award in 2016 and an Arts and Disability connect Training award in 2018. Roderick is a poet and playwright based in Dublin. His work explores themes of otherness and othering, of voicelessness and estrangement. His work is populated by outsider figures and hybrids on the borderlines between worlds. He works in non-realistic modes. 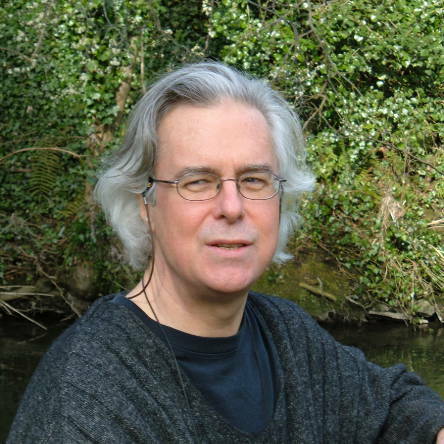 He has won many shortlistings, commendations and prizes for his poetry, both in Ireland and the UK. Some of his poems have been set to music by composer Judith Ring. Two of his plays were given public readings in Paris, and two in Dublin. In 2018 Roderick continued his transition from poetry to playwriting with the support of a series of dramaturgical masterclasses with Pamela McQueen at The New Theatre in Dublin. Through a New Work award in 2016 Roderick developed a new script called Ob Gob with support from dramaturg and director Sarah Baxter, Project Arts Centre and Rough Magic Theatre Company. A rehearsed reading of Ob Gob took place in the Abbey Theatre (Peacock Stage). In 2015 Roderick worked with mentor Sophie Motley, Director of Willfredd Theatre Company to develop a theatre script called The Spider’s House with Sophie’s dramaturgical support. Áine Stapleton received an Arts and Disability Connect New Work award in 2017. Áine is a dance artist based in Dublin. She developed a new dance piece called Horrible Creature in partnership with Dance Ireland and The James Joyce Centre in Dublin. Horrible Creature explores the life of Lucia Joyce between the 1920s and 1950s. Lucia, a professional dancer, was the daughter of Irish writer James Joyce. In the 1930’s she was diagnosed with schizophrenia and was institutionalised in psychiatric hospitals until her death in 1982. A work-in-progress sharing of Horrible Creature took place at Dance Ireland. Katie Moore received an Arts and Disability Connect New Work award in 2017. Katie is a visual artists from Mayo. She created an installation called Entropy in partnership with the Linenhall Arts Centre. Compelled by a conversation Katie had with historian Catherine Corless, she visited the site of the Mother and Baby Home in Tuam. She observed the weeds that now grow at the site, and from there started to look at flowers – the delicate blossoms of Gypsophila to be exact, a flower also known as Baby’s Breath. The resulting work Entropy was an installation made from Baby’s Breath at Linenhall Arts Centre. Brid Heffernan received an Arts and Disability Connect Mentoring award in 2017. Brid is a visual artist and was a member of the Cúig studios at Mayfield Arts Centre in Cork. Brid worked with visual and textile artist Valentina Gambardella. Together they will explored Brid’s love of fashion and textiles towards making wearable art with a Lady Gaga wow factor. Jim Rohan received an Arts and Disability Connect Mentoring award in 2017. Jim is a theatre practitioner and member of Equinox Theatre Company based in Kilkenny. Jim was mentored by dancer Cindy Cummings. As well as being an actor Jim is an avid GAA fan and supports Carrickshock GAA club at training and on the side lines at matches. Jim and Cindy delved into the world of theatre, dance and GAA as Jim Rohan devised a new theatre piece with collaborator Gary Comerford called The Waterboys: Jim and Gary have a double life. Nickie Hayden received an Arts and Disability Connect Mentoring award in 2017. Nickie is a visual artist based in Dublin. She was mentored by Niamh O’Donnell Director of Mermaid Arts Centre. With support from Niamh, Nickie began to expand her practice to work collaboratively with people who have invisible disabilities through the Dyslexia Association of Ireland. Elizabeth McCormack received an Arts and Disability Connect Training award in 2017. Elizabeth is a singer and performer with Electric Dreams based in Galway. She worked with vocal coach Michel Durham over one year to hone her vocal skills. Mary Hunt received an Arts and Disability Connect Training award in 2017. Mary is a writer based in Westmeath. Mary attended a weekend long residential writing course facilitated by Yvonne Cullen on Inishbofin. Eoin O’Malley received an Arts and Disability Connect Training award in 2017 and an Arts and Disability Connect Mentoring award in 2016. Eoin is a visual artist based in Wicklow. Eoin worked with Paul Bokslag, a tutor and facilitator at KCAT Art and Study Centre. They developed a tailor made training programme for Eoin to learn printmaking techniques. In 2016 Eoin worked with mentor Paul Bokslag to examine the elements of Eoin’s practice and plan for his next steps. Myra Denise Kavanagh received an Arts and Disability Connect Training award in 2017. Myra is a visual artist based in Cork. Myra attended a hand-building ceramics course facilitated by Karen Morgan at Grennan Mill Crafts School. Tia Vellani received an Arts and Disability Connect Training award in 2017. Tia is a visual artist based in Kilkenny. Tia worked with painter Eamon Coleman on a series of specially devised workshops. Mary Duffy received an Arts and Disability Connect New Work award in 2016. Mary is a visual artist based in Wicklow. Through her New Work award Mary explored transitioning from working outdoors to inside in the studio. She chose to work with painter Donald Teskey to mentor her through this transition. In partnership with the Mermaid Arts they presented an artists’ talk about their work and this mentoring process as part of the YARN storytelling festival. Brian McSweeney received an Arts and Disability Connect Mentoring award in 2016. Brian is a dancer and member of Traces Dance Ensemble based in Waterford. Brian worked with mentor Deirdre Grant to develop his choreography skills. Garter Lane provided space for Brian to use during their mentoring process. Damien O'Connor received an Arts and Disability Connect Mentoring award in 2016 and an Arts and Disability Connect Training award in 2015. Damien is a theatre practitioner based in Mayo. Damien worked with mentor Christian O’Reilly to write and develop a new script called Right Cross. With Christian’s support Damien worked with a group of actors to workshop a script for the first time. In 2015 to re-establish his practice Damien attended a weekend Playwriting Course by Fishamble: The New Play Company. Facilitators included Artistic Director Jim Culleton and Literary Manager Gavin Kostic. Jen Grangel received an Arts and Disability Connect Mentoring award in 2016. Jen is a visual artist based in Wexford. Jen worked with mentor Aideen Barry to complete a series of studio visits and critiques on her practice. Paul Howell received an Arts and Disability Connect Training award in 2016. Paul is a visual artist based in Dublin. In collaboration with Black Church Print Studios Paul designed a series of etching workshops and access to print making facilities to practice what had been learned at his own pace. Danny Aherne received an Arts and Disability Connect New Work award in 2015 and an Arts and Disability Connect Mentoring award in 2014. Danny is a dancer and member of Spoken Dance an integrated dance company based in Limerick. Danny developed a new piece of dance film called Entangled with support from dance practitioner Mary Wycherley and Dance Limerick. In 2014 Danny worked with mentor Mary Wycherley to explore dance film and how this could be incorporated in to his artistic practice. James O’Connell received an Arts and Disability Connect Mentoring award in 2015. James is a dancer and member of Speckled Egg Dance Company based in Galway. James was mentored by dance practitioner Rachel Parry to develop James’s choreography. Mary Ryan received an Arts and Disability Connect Mentoring award in 2015. Mary is a visual artist based in Galway. Mary was mentored by Maeve Mulrennan from Galway Arts Centre. Together they developed an area of Mary’s practice towards exhibition. They also focused on documentation of Mary’s work to support her making applications for other funding and exhibition opportunities. 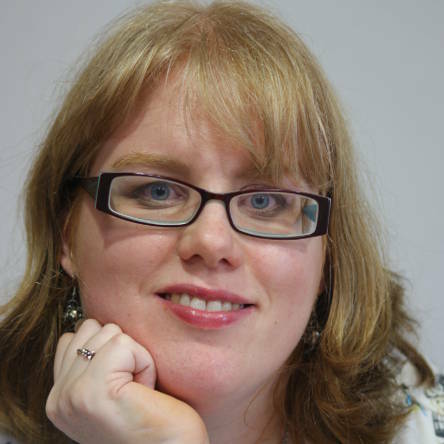 Niamh O’Doherty received an Arts and Disability Connect Mentoring award in 2015. Niamh is a visual artist based in Mayo. Niamh worked with mentor Niamh O’Malley to critically reflect upon her artistic practice while she was developing a new body of work called Reflections on Time. Stephen Kennedy received an Arts and Disability Connect Mentoring award in 2015 and he was commissioned as part of our Curated Space series in 2014. Stephen is a playwright based in Dublin. Stephen worked with mentor Gavin Kostic from Fishamble: The New Play Company to develop a new script The Blind and the Half Blind. His poetry has been published in the Irish Times, The Stinging Fly, Books Ireland, Sunday Tribune, and many other publications – including two recent collections – If Ever You Go: A Map of Dublin in Poetry and Song and New Planet Cabaret. Stephen has been nominated for the RTE PJ O’Connor Radio Play Awards and shortlisted for the Hennessy XO Literary Awards. His stage plays have been performed in Ireland, England, Scotland, Germany and the US. Stephen is also Director of the Dublin Beatles Festival and the founder and organiser of Nighthawks. Róisín Power Hackett received an Arts and Disability Connect Training award 2015. 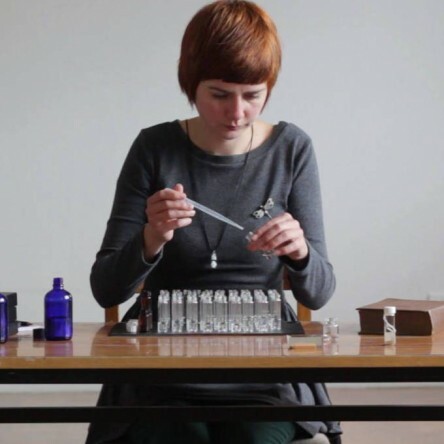 Róisín is a visual artist and curator who is based in Waterford. Róisín attended a series of printmaking workshops with Damn Fine Print and Black Church Print Studios. Conor Madden received an Arts and Disability Connect New Work award in 2014. Conor is a theatre practitioner based in Clare. Conor developed a new script called Broke with the support of mentor Mark O’Halloran. A rehearsed reading took place on the Peacock Stage of the Abbey Theatre. Darragh O'Callaghan received an Arts and Disability Connect New Work award in 2014. Darragh is a visual artist based in Monaghan. Darragh created a short film and installation of film and photographic work called Interiors. These works explored personal landscapes of isolation and anxiety that characterise living with mental health issues. This project was made in partnership with the Cork Film Centre. Mary Nugent received an Arts and Disability Connect Mentoring award in 2014. Mary is a dancer and member of Croí Glan an integrated dance company based in Cork. Mary worked with trained ballet dancer, Dawn Mulloy to further develop her dance skills. Orla Burke received an Arts and Disability Connect Mentoring award in 2014. Orla is a playwright based in Cork. Orla worked with mentor Kaite O’Reilly to develop a new script. Sighile Hennessy received an Arts and Disability Connect Mentoring award in 2014. Sighile is a theatre practitioner and member of Equinox Theatre Company based in Kilkenny. Sighile worked with Susie Lamb on developing movement within her theatre practice. Niall Stokes received an Arts and Disability Connect Training award in 2014. Niall is a musician based in Dublin. Niall developed a tailored training programme with Jazz pianist Greg Llyod from Newpark Music Centre.